The Verandah offers all-day dining with comfortable indoor and outdoor seating. Come here for a taste of The Mandarin Oriental's signature service and food, no strings attached. 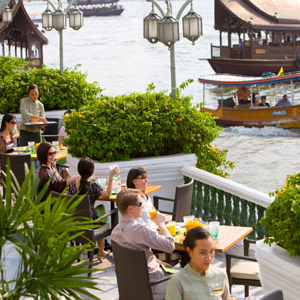 Special menus change monthly, come during sun down for water colored view of the Chao Praya River.